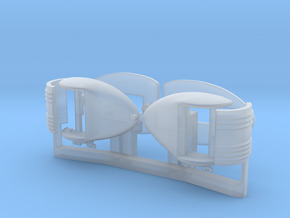 These models are based on detailed manufacturers drawings for most parts with minimum thickening to meet SW requirements. The guns are aircraft type which differed from HB guns mainly in a shorter barrel surrounded by a perforated jacket. Included are left and right ammo feed guns for twin gun setups as used on PT boat turrets and the acey deucey twin .50 / 20mm combination. No rear grips are included as they were part of the mounts. 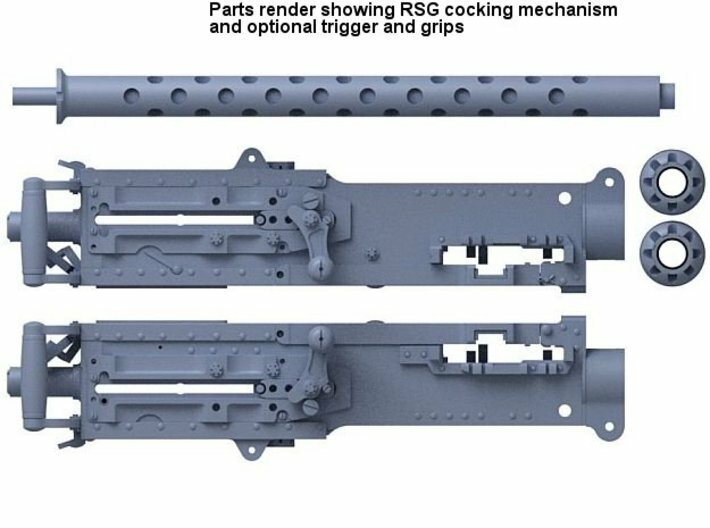 The guns feature RSG (retracting slide group) type cocking mechanisms. Can style flash suppressors are also included. 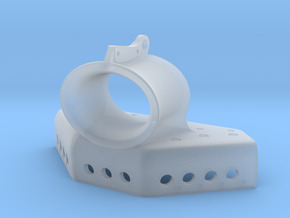 The sprue cage is designed to hold the parts with no direct attachment and for easy part removal. The guns feed ammo from the side the RSG is on. Due to the many nooks and crannies on this model, an ultrasonic cleaning while still sprued with a cleaning solution such as Simple Green is highly recommended. Remove the barrels first by clipping off the U shaped retainer at the mounting pin end. 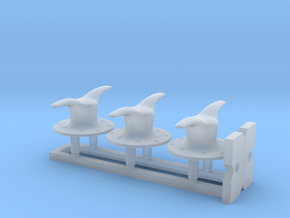 The retainer is attached to the sprue at the outside only for ease of removal. 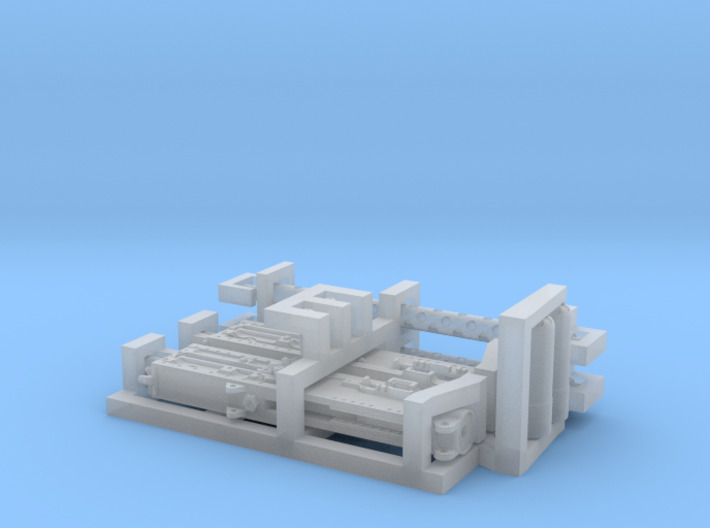 Cut off the excess barrel sprue to access the gun retainers. 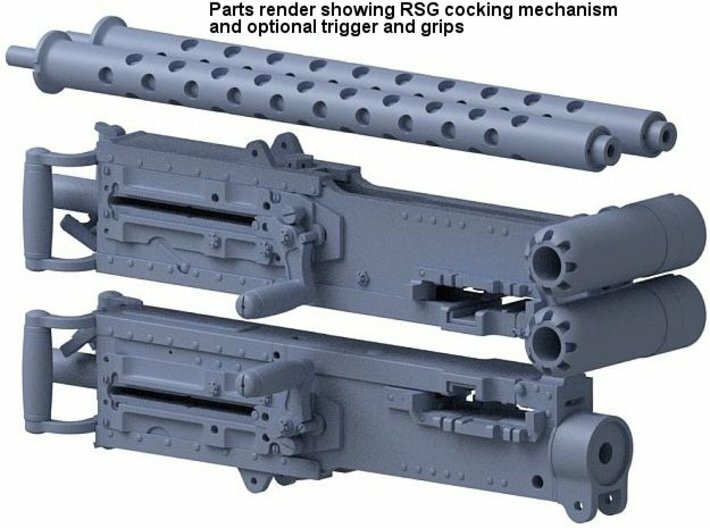 Remove the flash suppressors by cutting off their retainer and sliding them off the sprue rods. While the guns are still protected by the sprue cage, check the fit of the barrels to the guns. 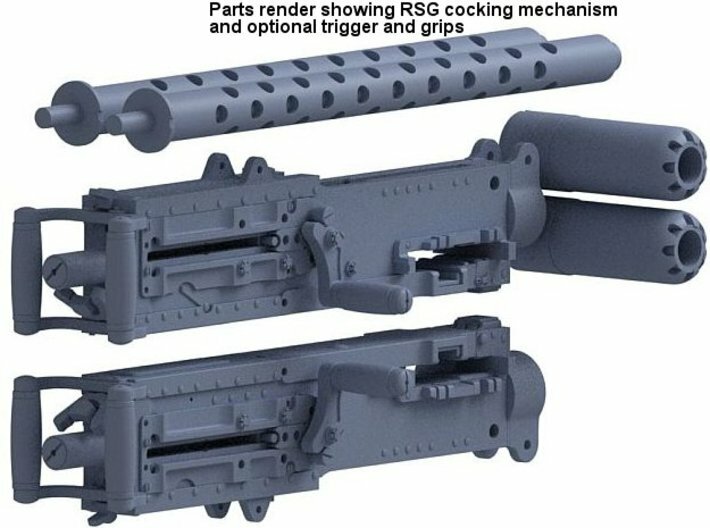 Also check the fit of the flash suppressors to the barrels if they are to be used. Carefully cut off the center gun retainer / cocking lever protector. 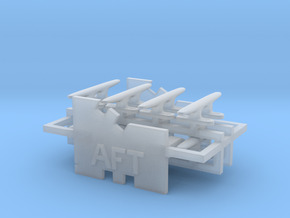 Both front and back gun retainers are only attached at the outside of the sprue cage, like the barrel retainers. Work on freeing one gun at a time. Lift the gun from the cage being careful of the top cover knob underneath which is very delicate.